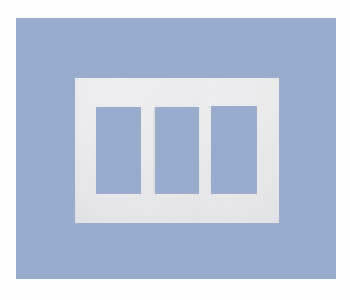 Three Gang Decorator Wallplate electrical cover - Electrical Industries Inc. Colors available: White , Ivory, Almond . Tamper resistant receptacles feature an internal shutter mechanism that protects children from sticking objects into the receptacles, so tamper resistant receptacles are the safest and easiest way to protect your loved ones from accidental electrocutions.